Jennifer Lopez laid out her checkbook big time this week when she wrote a $1 Million check (profits from her Las Vegas shows) to the hurricane relief in Puerto Rico. It was reported that Jennifer was also waiting to hear from family on the island brutally battered by Hurricane Irma and Maria just last week. Jennifer also enlisted her beau Alex Rodriguez to pool resources to help the Caribbean affected by these hurricanes. “Alex Rodriguez and I, who are both New Yorkers, are utilizing all our resources and relationships in entertainment, sports and business to garner support for Puerto Rican and Caribbean relief efforts,” Lopez said in press conference with NY Governor Andrew Cuomo. Hurricane Maria is the worst storm in the country’s history since the 1930s. To donate to Puerto Rico head over to www.UnitedForPuertoRico.com And don’t forget to donate to Texas, Florida, and the Caribbean islands affected by this terrible hurricane season. Check out these articles over at the NYTimes and Business Insider for the best places to donate and avoid scams! 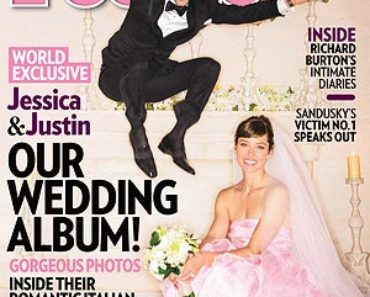 Justin Timberlake & Jessica Biel: Wedding Photo Revealed! Bow Wow Gets Big Kiss From Tyra Banks! Russell Brand Calls His Friend Amy Winehouse a ‘Genius’! Arnold Schwarzenegger’s Tell-All Book Flops! Julianne Moore To Play Sarah Palin in HBO Movie! Taylor Swift Felt ‘Violated’ After DJ Allegedly Groped Her, She Says in Deposition!